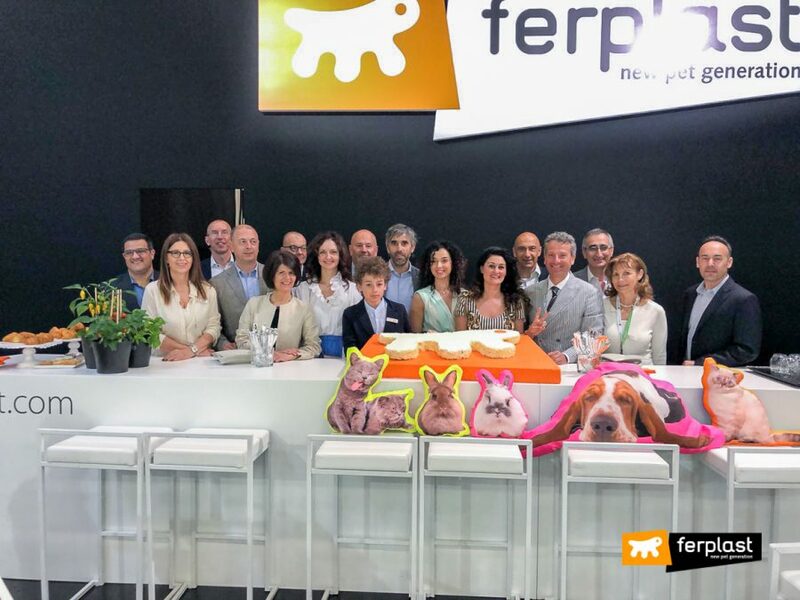 We have just returned from the Interzoo trade fair in Nuremberg, where we presented Ferplast’s 2018 new products and innovations to all the experts in the industry and to pet enthusiasts like us. 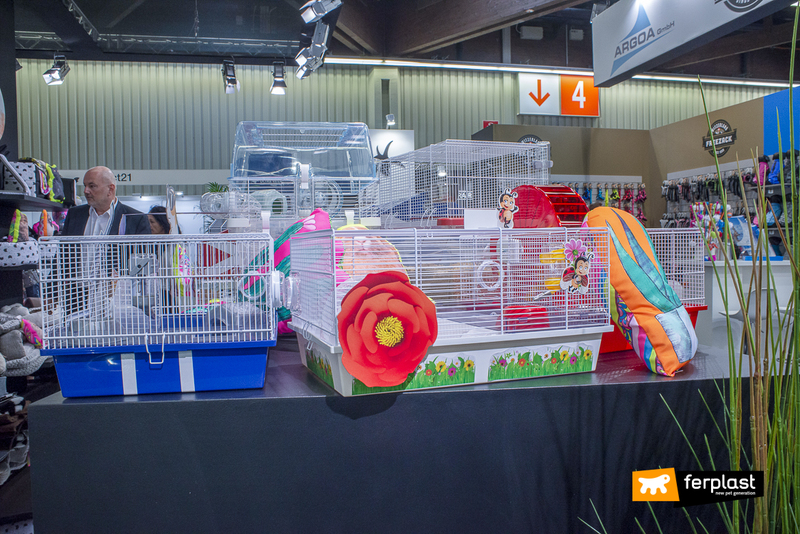 The four days of the trade fair were intense and gratifying and it only seems right to share this adventure with you! 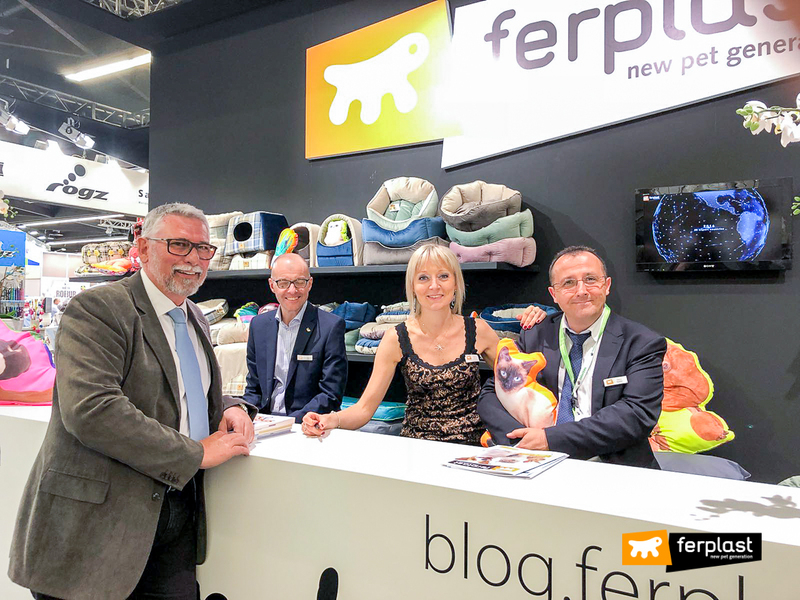 If you have been following us on Facebook (@Ferplast) and Instagram (@Ferplast_official), you will undoubtedly have had a chance to take a look at Ferplast’s new collections of leads, cushions, bowls and pet carriers. 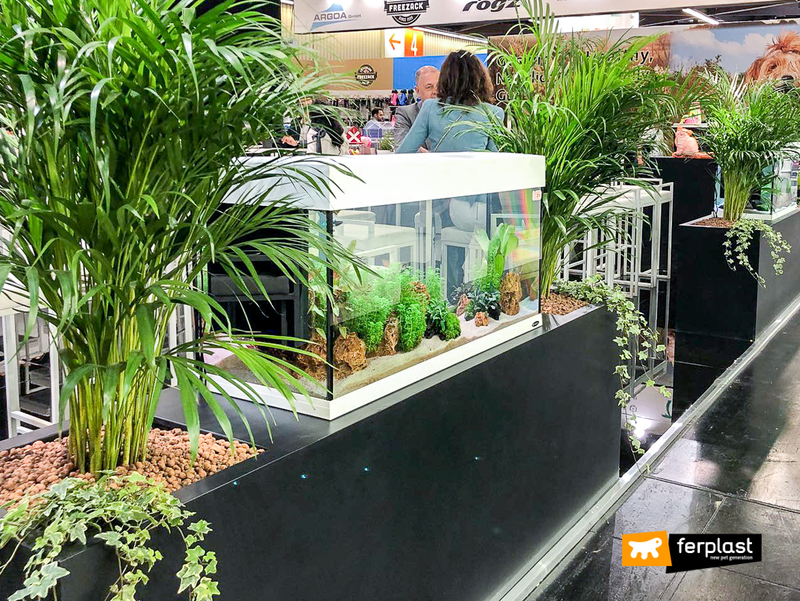 If, however, you have not had a chance to enjoy this preview of our new products, you can catch up right away by reading on. 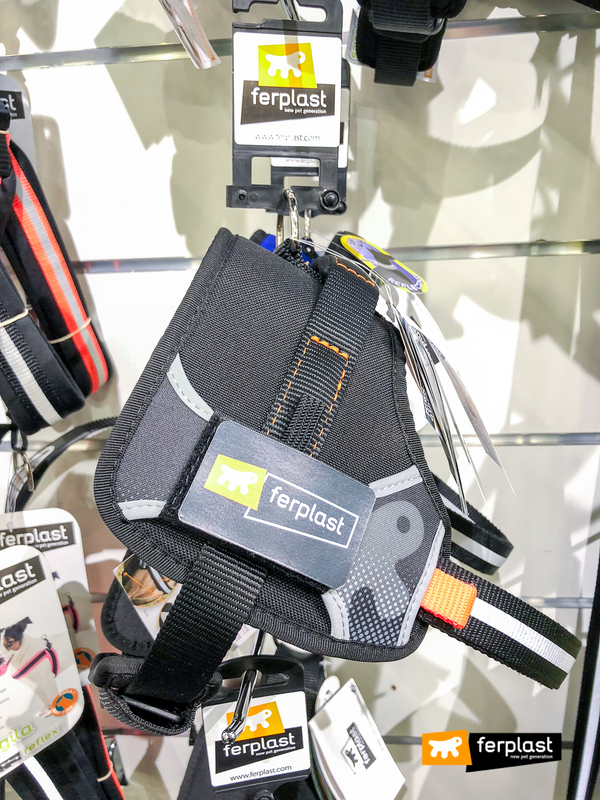 What makes Ferplast’s collars and harnesses stand out is technology and innovation: in fact, after the Matic lead, we now have the clasp Matic version, equipped with a magnetic fastening system to make fastening and unfastening of the collar and harness easier and quicker. The inclusion of an internal metal clip makes it very robust and guarantees excellent resistance to pulling. 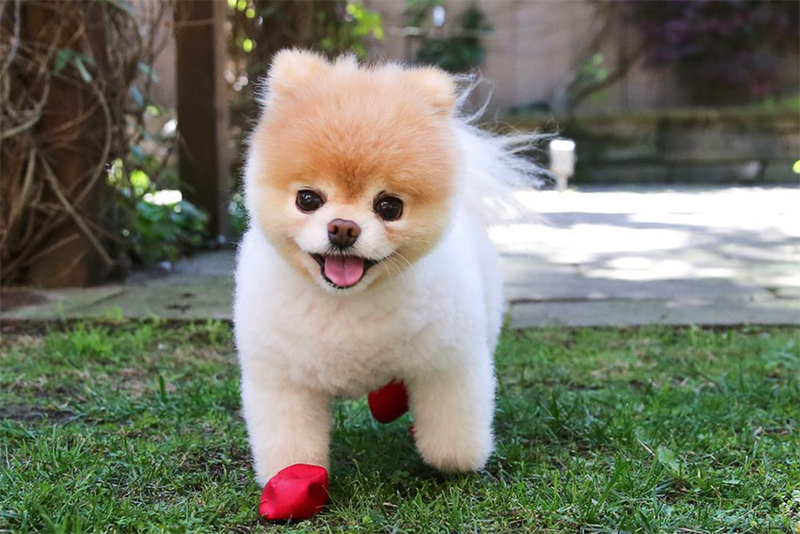 Taking your faithful friend for a walk will never be the same again! 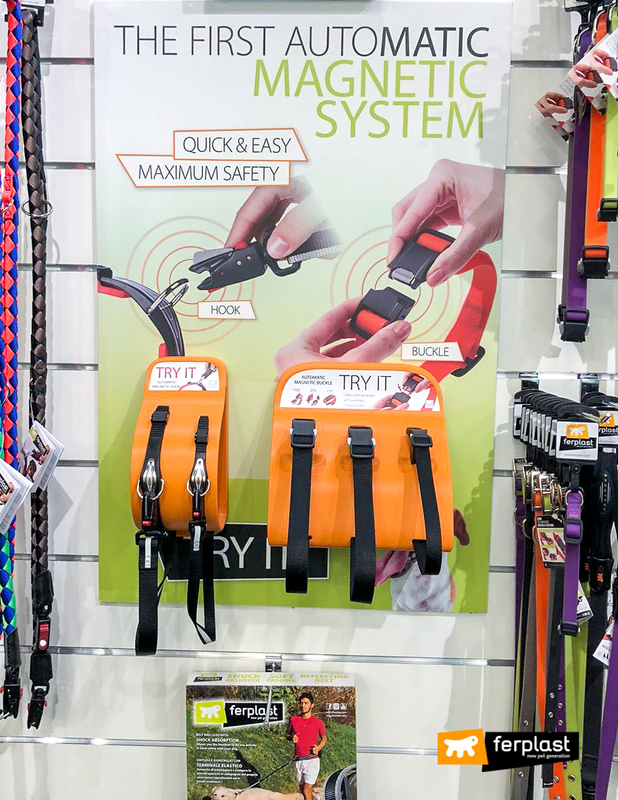 If you are athletic and like hiking and trekking in the mountains at the weekend or if you are a professional dog-handler, the Hercules high-tech harness is a must! 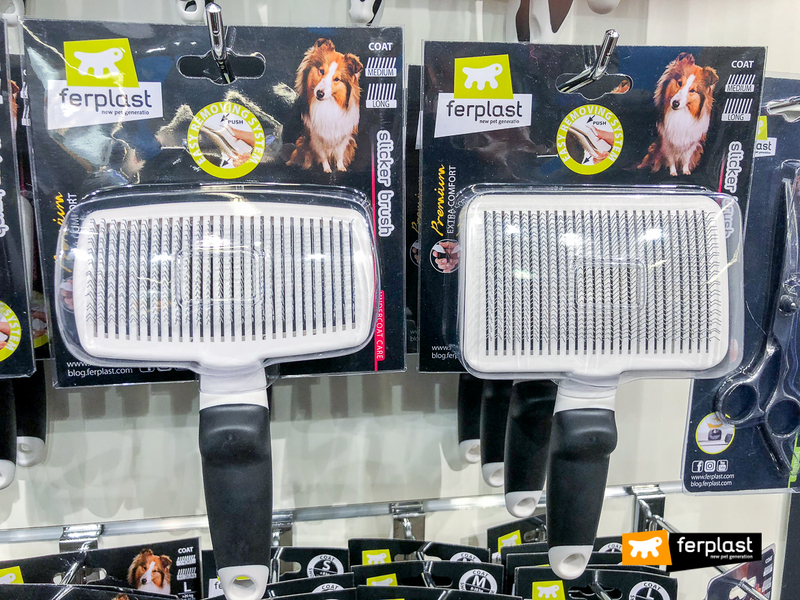 Practical, sturdy and ergonomically designed, it is made of super-tough, scratch-resistant materials and is ideal for dogs of all sizes. 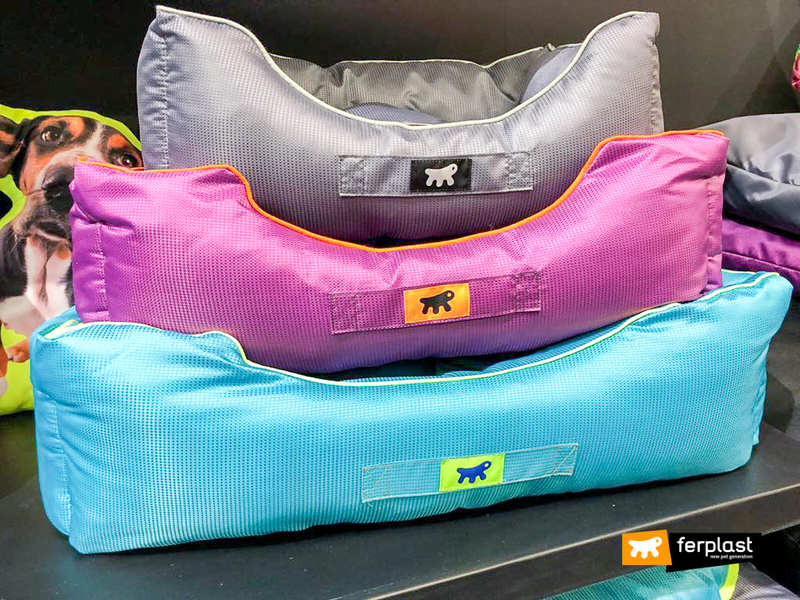 New prints and models are available in the world of Ferplast cushions: for your four-legged friend’s moments of relaxation, our designers have created the Velvet range, made of soft velvet-effect fabric and Scottish, with a tartan pattern and a velvet finish. In the Velvet range, you will find Prince, a reversible cushion, the Majesty velvet-soft bed and the Baron mat; included in the Scottish range, you will find the Charlese and Dundee sofas, the soft Scott cushion and the Edinburgh bed. 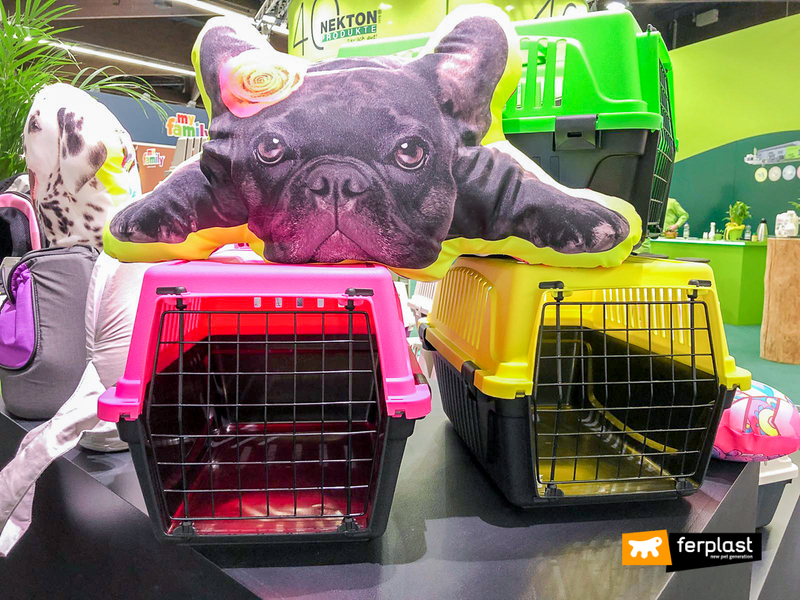 These cushions are so beautiful and comfortable that they will literally make your dogs and cats dream! 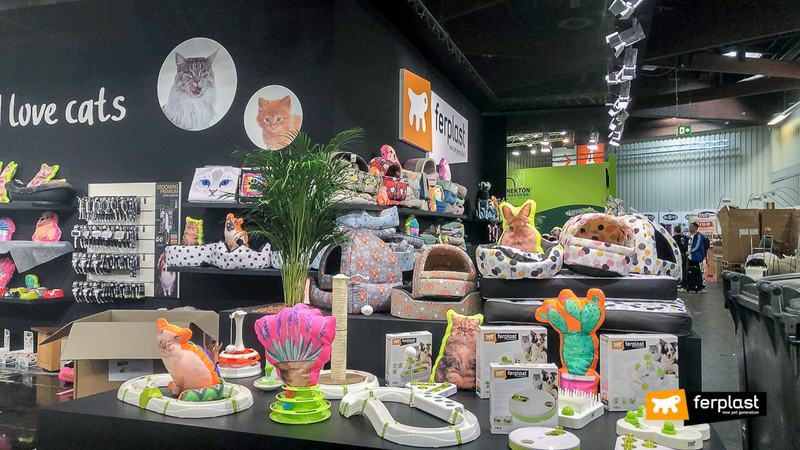 The Classic collection has been updated and includes new patterns, especially for the cat cushions: here, you will find colourful, modern fabrics with cute and original animal faces on them. For creativity-loving cat enthusiasts, there is Pyramid, the comfy miniature cat bed, and Cleo, the fabric bed complete with ears, paws and tail. 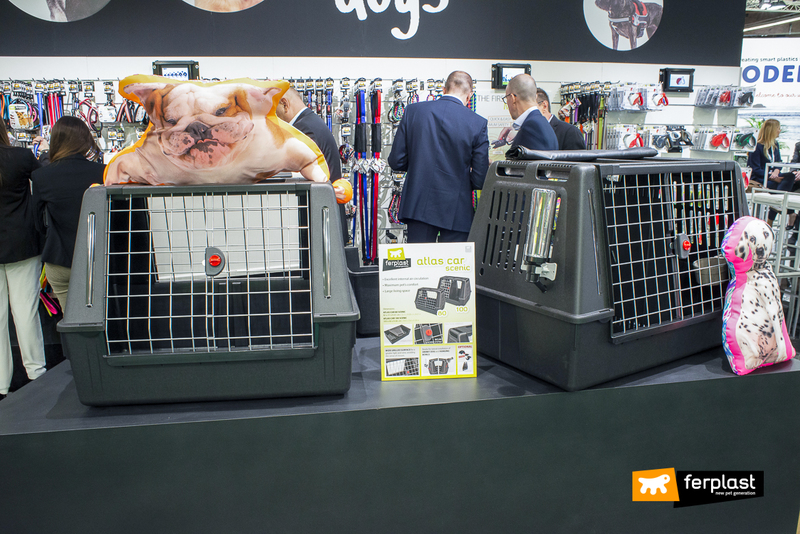 Great interest has been shown in the new Atlas Car Scenic pet carrier, which is now more spacious and offers your pet a brighter and well-ventilated environment, thanks to the large surfaces with a coated steel grid on the front and back and ventilation grids on the sides. 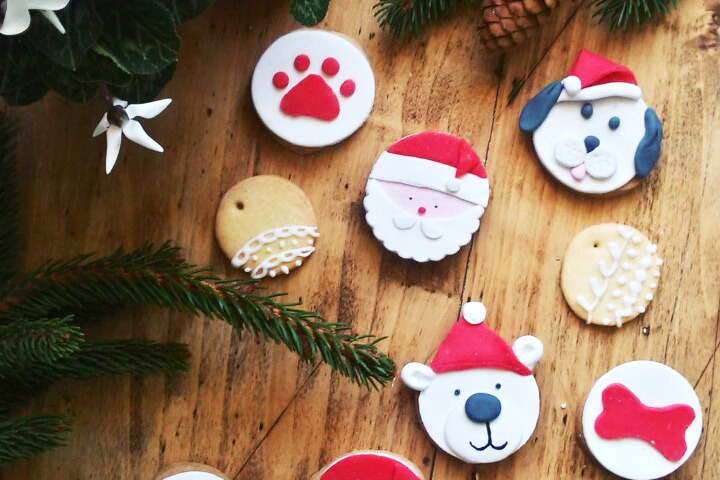 Naturally, it also includes a space for your furry-friend’s food! Ferplast offers two new accessories: on one side, there are colourful Jolie bowls made of strong stainless steel with a plastic support base in bright colours and on the other side, there is Glam Tray, a shiny, white plastic tray, essential for stopping food from leaking out and thus protecting the floor in your home. 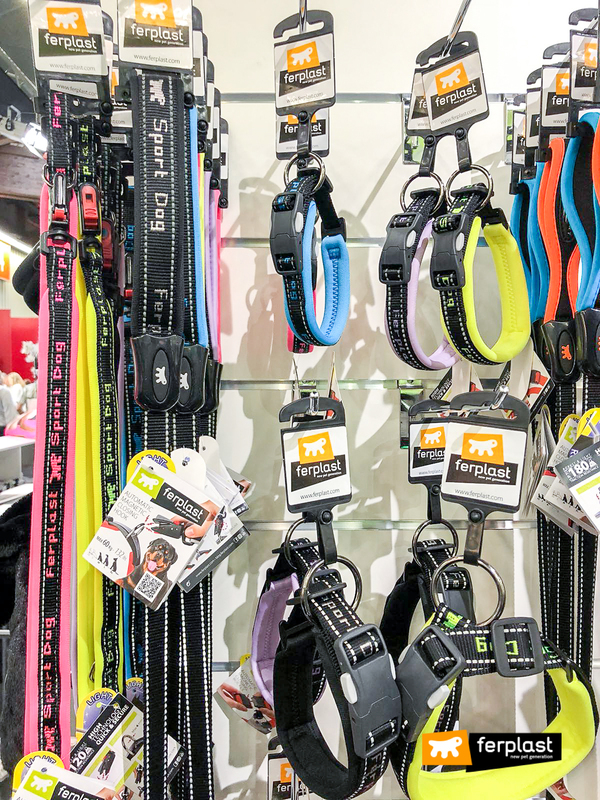 We know how important hygiene and taking care for your four-legged friend’s coat is to you and, for this reason, we have created a wide range of Premium products to help your pet’s coat stay glossy, like he deserves. The Grooming Premium range includes brushes, slicker brushes, combs and so on. 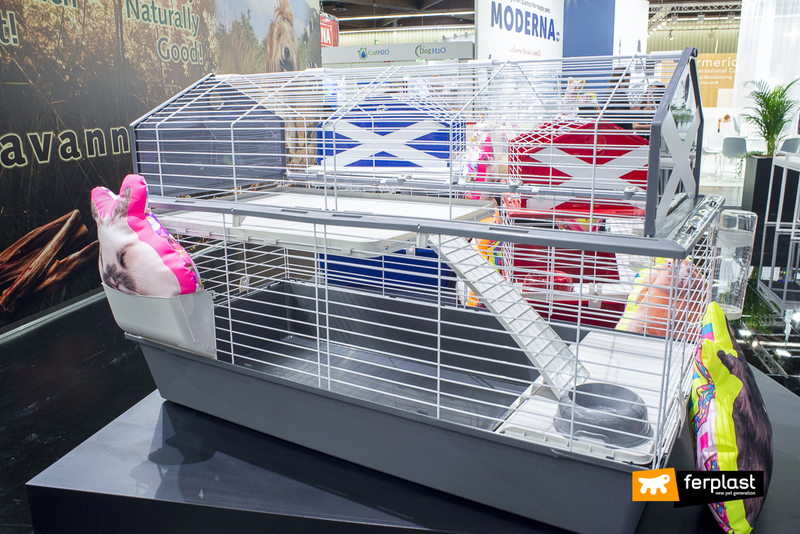 We became children again for a while, when creating cages for rabbits and hamsters, keeping in mind that they live in jolly and special settings. Dragster is ideal for young boys who love racing cars, while little girls will love Lady Bug, with its cheerful setting of flowers and ladybirds. 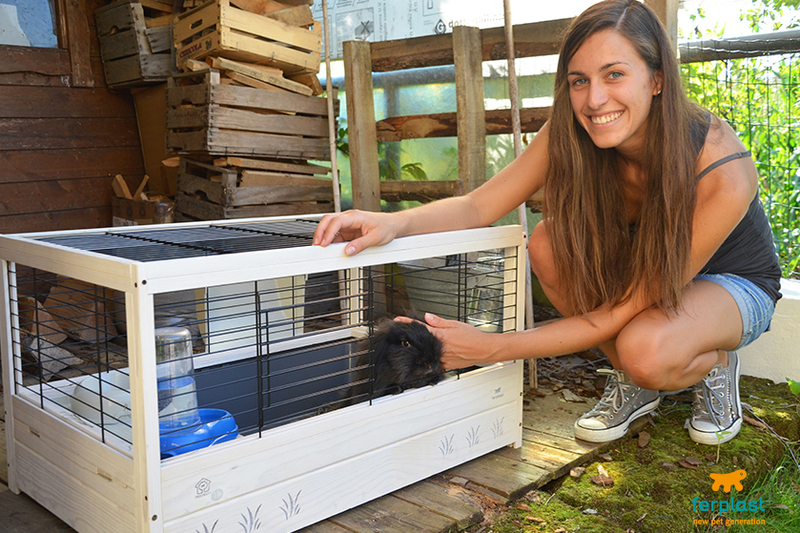 The Barn rabbit cage will remind you of an American barn thanks to its typical shape, with a raised roof and white stripes on the sides. 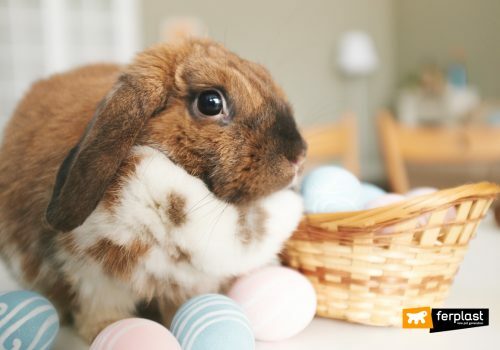 They all come complete with accessories and will help you encourage your children in their approach to the world of animals! 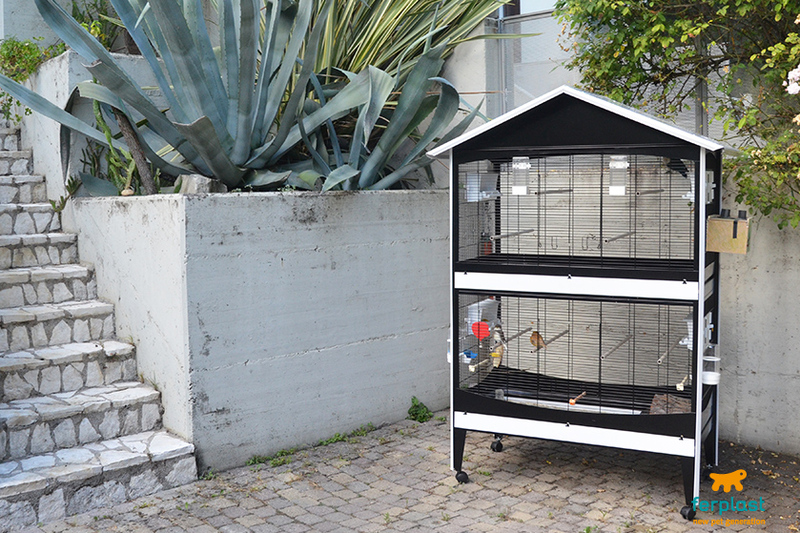 We are certain that you will also appreciate these new items and we’re ready for the upcoming trade fairs!